When you are working in mass production and manufacturing, consistency and production rates are how you make or lose money. Keeping production at or above your target level is critical for profitability and success of the business. Industrial automation has allowed production rates to increase as well as profit margins. To continue this growth, businesses are seeking asset management solutions for manufacturers. These tools provide three ways for productivity and profitability to increase. The first benefit is that these processes eliminate the silos of information which can exist in large businesses and organizations. They encourage collaboration which in turn uses the entire staff’s knowledge and skills to improve products, production techniques and the work environment. This enriched level of teamwork is one of the best ways to set a business apart from its competitors and establish a dominant presence in the industry. In general, this is a way to ensure that all workers feel a sense of responsibility and ownership of the entire process. This unified ownership promotes better quality in all aspects of the product and the production process. 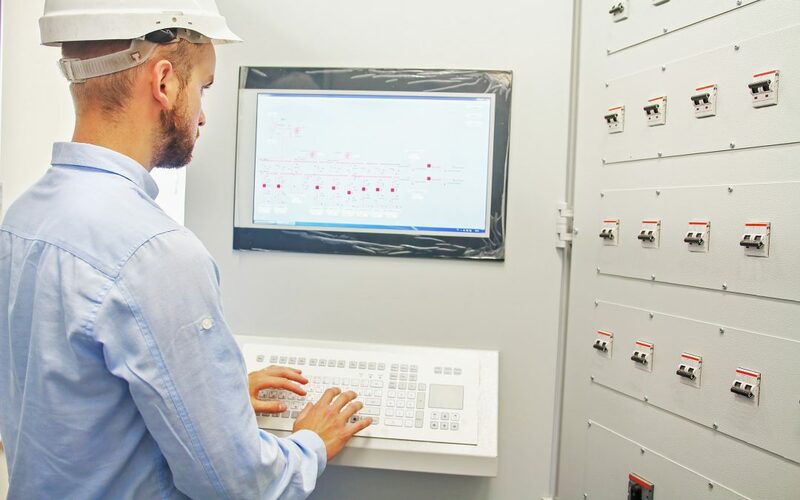 Industrial automation and enforceable workflow also help to achieve regulatory compliance and eliminate the opportunities for errors and mistakes. Quality checks are built into the manufacturing process and when a variance is found, corrective plans are initiated and quality reports are issued to notify management of the issue and the correction in process. This notification alerts the workforce and additional checks are then performed by the staff to ensure that the corrections are returning the process to in spec production. In addition to the function of the checks and corrections process, the system also creates detailed records and reports which are used to demonstrate regulatory compliance. Finally, enforceable workflow offers a system in which intellectual property and knowledge can be recorded. In the past, much of a systems workflow processes were considered to be tribal knowledge and as workers left the company or retired, a part of the knowledge was lost. Using asset management solutions for manufacturers, that information is retained and shared throughout the business. There is a transparency between different departments, levels of leadership and job descriptions which promotes and encourages the sharing of all knowledge that is critical or useful to the entire industrial automation process. The increases in production and profitability can be seen in the results of businesses who are using these methods. In a single user case, the business reduced inventory from 120 to 82 days and increased on-time delivery to 96%. Product availability was improved by 16% and product defects were reduced by 50%. All of these improvements combined to provided the business with an increased annual productivity of 5% without increasing any production, material or management costs. This increase in productivity and quality was then also a driver to increased profit for the year. This success story is just one example of how automation can reduce product deficiencies and increase production for your business.